Want to Buy The Furnished Model Home? 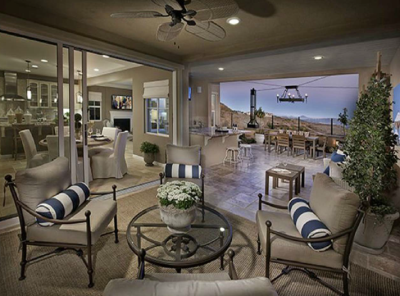 Everyone loves those beautiful model homes at the new home communities in San Diego. So many times in my career working for the Builders I heard from buyers that they loved the model home and wanted to buy it just the way it is. The amount of effort and expense that the Builder puts into their model homes is extensive. Interior decor, furniture, finishes and landscaping are all professionally selected representing the latest trends and materials. No wonder that many people looking at the model homes are seriously “just looking” and have no interest in buying a new home. They are looking at these wonderful showrooms called model homes to get ideas for their own home or just to pass some time enjoying the designs. 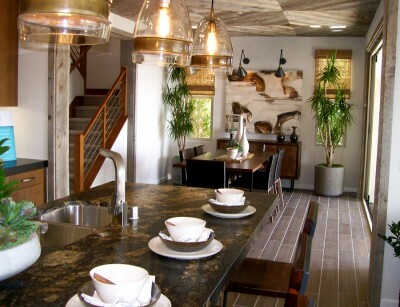 You walk into a model home and are awed by the look and feel of everything. The models have been professionally decorated and the builder has selected some of the best materials and appliances to add value. Their goal is not just to awe you but to start selling upgrades to you when you decide to purchase a home that has not been built yet. Value of the Options and Upgrades. The builder should supply you with a detailed list of all the upgrades that have been installed in the model home along with the cost that you would have paid if you ordered it. These prices should reflect what they would have charged you if you ordered if you built to order. If the model has been used for the past couple of years the prices should also reflect pricing at the time they were installed, not at current market rates. One included item is the interior custom painting cost. When you buy a new home your walls and woodwork will be painted to the offered standard colors. The model home will have custom painting. I have seen the cost that the builder is charging up to $20,000 on a 3,000 square foot home. Often the custom painting includes some custom designs as well as stenciled designs on the walls. This may look terrific with the interior furnishings in the model but once you start to decorate many of the designs and colors may not work for you so you may end up doing additional painting. Bedrooms in particular are designed and painted with designs for children. My suggestion regarding the painting cost is that you negotiate a lower price on the house, deducting some of the custom painting costs. If you love all the finishes and upgrades and do not plan to change anything the model home can be perfect for you. If you plan to make some changes later keep in mind that the costs will most likely be higher than what the builder would have charged as you will have to pay for any demolition or removal of existing finishes and upgrades. Landscaping. Most new construction homes in North County San Diego do not include any rear yard landscaping and many are now not including front yard landscaping. A model home is professionally landscaped, front and back. Often they might include many features such as outdoor kitchens, fire pits, fountains, pools and more. The landscaping would have been designed and planted with more mature plants and trees. So by buying the model home you have the landscaping in and you avoid going through the process of landscaping yourself which includes finding a contractor, getting approvals from the community as well as the cost and construction activity around the home. Location. Typically, the builder picks some of the best home sites to place their model homes. They may have the best views or the best lots. They do this to maximize the appearance of the model homes as well as create value for the builder as prices are likely to be at the highest points during the life of the sales process when it is time to sell them. At other times the models could be in some of the least desirable locations such as against a busy road or with no views. Pricing. Buying a model home means you are buying at the end of the build out for the community. In a good real estate market that means you could be paying the highest price per square foot based on the sales of the last few phases of homes. You will also be paying in addition to the base price for the upgrades that the builder has built into the home. Many of the model homes in North County San Diego have at least 15% to 25% of the purchase price, at a minimum in upgrades and landscaping. Typically, the builder does not expect to recapture every dollar spent on their upgrades and landscaping so many may discount those extras a little. It takes a special buyer that is willing to pay that much more for the model home over the base price of another home. You may also run into a challenge when it is time to appraise the home for you loan. Unless other model homes in the area have sold it will be difficult to get valid comps of homes that are fully loaded and landscaped. Model home price is negotiable. Yes, the price can be negotiable on a model home. Since the builder is trying to close out the community they are anxious to move on to the next community and limit their operating costs at the current community. Warranty. Some builders will give you their standard 1-year warranty on the home from the time you purchase. Others will provide a 1-year warranty through a 3rd party home warranty company, meaning you will have to pay a service fee for each service call. Regardless, since it is a new home you will still have a 10-year warranty on construction defects. Manufacturer warranty on appliances should apply from the time you purchase. These appliances have been in the home since the community opened. They most likely have not been operated. Sometimes the refrigerators have been running as they use them during their sales operations. So if the model homes have been sitting for 2 years, the laundry machines, dishwasher, range and oven, microwave have been sitting unused so it is like buying an appliance that is outdated and been sitting in a warehouse for the past few years. It is debatable how good it is for an appliance to sit dormant for that long. Don’t expect any warranty on the landscaping. You will be buying as-is. Not Brand New. The model home is not brand new. It has been sitting on the block for at least a year or two or possibly longer. There have been thousands of people through the home in that time so there is going to be some wear and tear. You should expect some wear on the flooring including, scratches on wood floors, stains and traffic patterns visible on carpet, worn carpet padding in high traffic areas. Nicked and worn woodwork on the baseboards and worn door thresholds. Chances are the flooring has faded or been washed out by the sun and once the furniture or area rugs are removed you may discover fading. If wall décor was in the model and will not be staying, there will be holes to fill and touch up painting to be done. Hopefully the builder will repair all holes and touch up all wall damage. Fading is another issue is artwork and wall hangings are removed. Garage. The garage has either been used as the sale office or for construction storage during the community’s life. If it was the sales office, the office will have to be removed and the garage reconstructed. The good thing about this is you will have a new garage with new doors and openers. If it was used for construction storage, the garage doors have been operating every day, the garage floor will most likely be stained and worn and the walls will require clean up or painting. My suggestion is to have the builder epoxy the floor and repair and paint the garage walls. Most new home builders do not paint the garage in their standard home, it is an upgrade. Standard finish is a sprayed textured finish. As-Is Condition. Many builders will say the home is being sold as-is. This means that they are not going to make any changes or restore anything to a new state. As-is does not necessarily mean that you will be getting all the electronics that are in the home that are used for their sales operations. Always ask for a complete inventory list of everything that will be included including any electronic equipment. Most models are wired with audio throughout and the recessed speakers may be included. However, you will have to provide your own controls. Plumbing, AC. Most model homes do not have the water on in the home. So hot water heaters, faucets, toilets, showers, tubs or any appliances that use water have not been running. The good thing about this is there will not be any mineral buildup in the systems and the toilets will have not been used. The bad thing is that rubber seals, washers and moving parts have not been lubricated and may lead to some leaky plumbing. The AC and Heating system has probably been run during the time the community has been selling. This means they are already used and older. Make sure the builder changes the filters in the system prior to you taking ownership. A professional home inspection will test the performance of the Heating and A/C system to see if it is operating to full performance. Home Inspection. You should receive a walk through and home orientation with your builder prior to or after closing. They should explain the operation of the home, where all the controls are and the process for warranty. Since this home has been standing for a few years you may want to hire a home inspection company to inspect the home prior to purchase test the operation of everything in the home. They can advise you on what items or systems have had wear and tear and may need service. Furnished? Some sell their homes furnished and others do not. If they are selling the furniture keep in mind it is used and you should not pay full value. The mattresses are for show or may just be framing. So don’t expect to move in and use the beds that day. If you like the wall hangings, wall mirrors or art it may be a good idea to ask for that if you do not like the furniture as it will eliminate wall repairs. Window coverings may not be fully functional as some are just for show. Furniture is considered personal property and you may be required to pay cash and not include it in the value of the home if you are financing the purchase. Lenders do not like to deal with personal property in the home and should be handled with a bill of sale and receipt outside of any home loan. Don’t expect the model to be perfectly clean upon move in. Carpets may be worn and need some cleaning. Once furniture and area rugs are removed there is a chance that there will be some fading of carpets and flooring where furniture and rugs were for the life that the model homes as used. You should expect that you will have to do a detailed cleaning prior to move in. Get in Line to Buy. Often there is a list of interested buyers in the model homes. Don’t be discouraged if there is as many on the list will have found other housing or will turn away when the pricing is released. If you are not in a hurry to buy and have to have it, you should wait it out. When it comes time for the builder to sell the models they will want to do it quickly and will consider the most favorable offers. Cash buyers, buyers that are willing to close quickly, buyers that are not contingent on the sale of their home or financing could beat out a higher price offer. Keep in mind that the model homes are the last to go. So be realistic regarding when they can be sold. The market conditions, interest in the community as well as how quick the builder can build all the homes will determine when you can buy your model home. Unlike buying a homesite and having the builder build the home, where you have some prediction of timing and a little more control of when you can move. Working with an experienced Realtor when buying a new home or model home will help you to fully understand the value of the homes and offer suggestions on value and make recommendations on what may be negotiable on the model home price.